The United Nations office in Bangladesh on Wednesday raised the number of Rohingyas who have fled the conflict-torn Rakhine state in northwestern Myanmar since August 25 to 379,000, which is 9,000 more than the last count. On Tuesday, the UN had said that 370,000 Rohingyas had fled to Bangladesh since the violence broke out last month. A majority of the new arrivals, around 188,000, had been put up in makeshift camps, said the Inter Sector Coordination Group in a report. 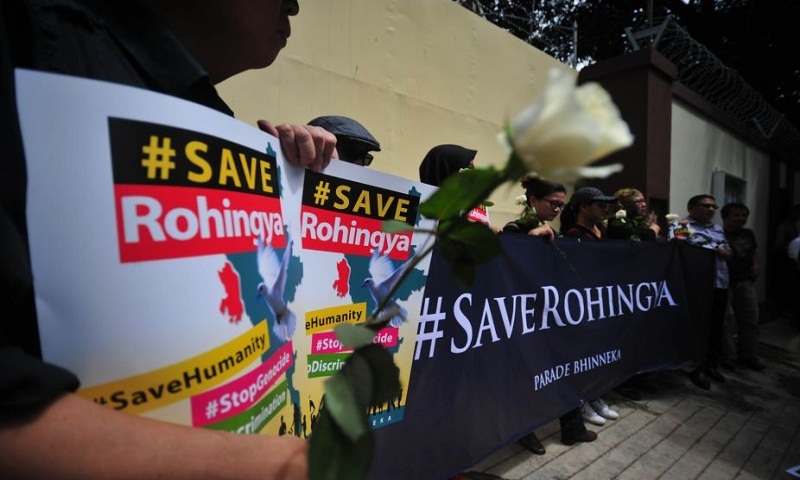 The report added that another 156,000 Rohingyas were living in temporary settlements and existing camps, while around 35,000 were being hosted by local communities. “The new arrivals continue to flow from transit sites (…), other host community villages and the Teknaf Metropolitan Area, towards existing makeshift settlements and new spontaneous sites,” said the report, underlining a significant rise in the number of refugees in “spontaneous” camps. The current crisis erupted on August 25, following an attack by the insurgent Arakan Rohingya Salvation Army (ARSA) on police and military posts in the northwestern Burmese state of Rakhine that had led to a violent offensive by the Myanmar Army. Meanwhile, ARSA’s offer of a month-long ceasefire last week to allow the entry of humanitarian assistance was rejected by the Myanmar government. The recent exodus follows another similar one last October after an aggressive military offensive by the Myanmar Army — following an attack by Rohingya rebels on border posts — triggered the exodus of more than 80,000 Rohingyas. Before the crisis erupted, between 300,000 and 500,000 Rohingyas were living in Bangladesh, out of whom only 32,000 enjoyed refugee status, living concentrated in refugee camps in the Cox’s Bazar district, reports Ians.